Bankruptcy numbers inversely correlate with the rise and fall of soft commodity prices. 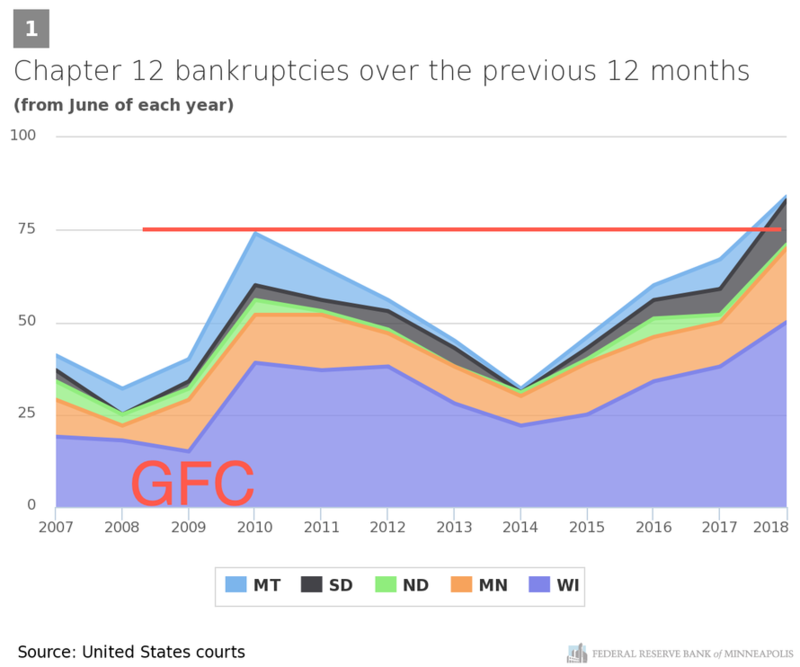 After an abrupt spike in chapter 12 filings during the GFC - which peaked in 2010 - soft commodity prices started to rise across the board and bankruptcies declined. 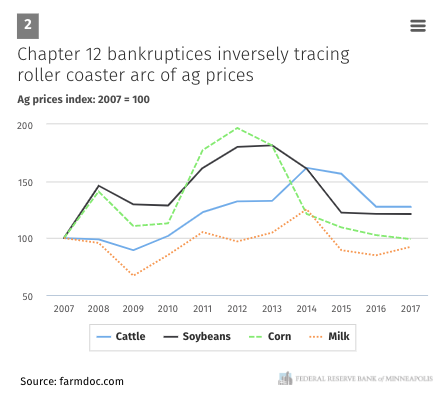 Farm bankruptcies bottomed out in 2014, but that was at the point when prices peaked then began to drop. 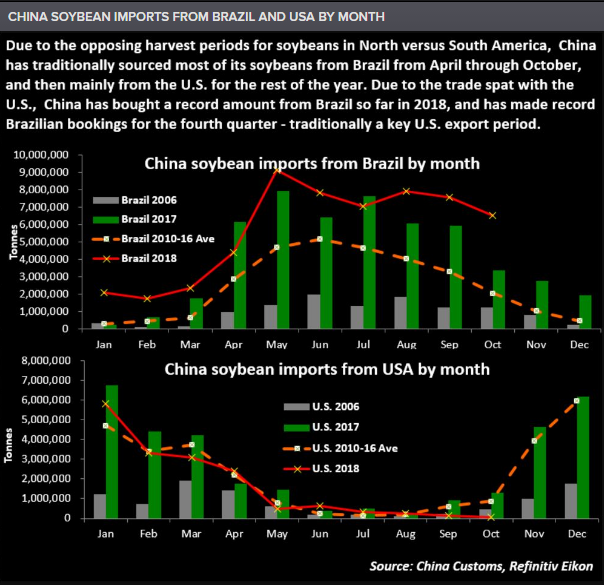 As shown in the chart above, some of the problems predate President Trump's trade war with China. "The underlying problem, which existed before the trade war, was overproduction. Farmers are almost too efficient for their own financial good," Miedtke added. 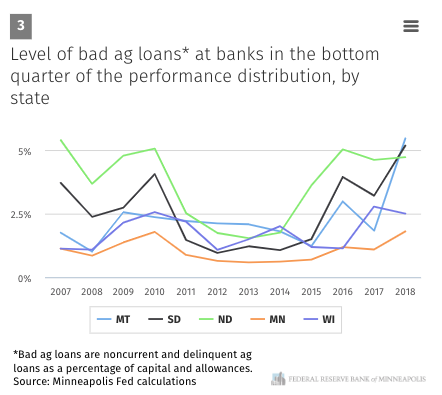 "Asset quality of ag loans at these banks in the bottom quarter of the performance distribution worsened significantly after the recession. They improved markedly by 2012 and saw a couple of years of very healthy rates (Chart 3). But by 2014, asset quality in this cohort of banks was worsening again. By the second quarter of this year, asset quality would fall below levels seen in the aftermath of the recession—a trend not seen in any other standard loan category, like residential and commercial real estate, or construction and industrial, or even consumer loans," said Minneapolis Fed. The report also notes how farmers have started to deleverage, taking a page out of the GE playbook, with firesales of land or equipment to make loan payments. In short, it appears that America's farm bust has arrived; while it has been festering for years starting under the Obama administration, with President Trump's trade war and China shutting out US farmers to its market the perfect storm has arrived.